If you’ve had a filling filled sometime in your life, changes you are that you have an amalgam filling. For over a century, these silver fillings have been the standard of care for dentists all over the world. Amalgam fillings were originally invented as an alternative to gold fillings because they were long-lasting yet more affordable. Made of a mixture of metals, amalgam fillings also contain a substantial amount of Mercury which is a known toxic substance. So what can an individual do if he or she no longer wants their amalgam filling? At Virtue Dental Care, we provide our patients in the Winston-Salem, NC with safe mercury removal. Following guidelines published by the International Academy of Oral Medicine and Toxicology (IAOMT), we can safely remove these fillings and replace them with natural looking-biocompatible fillings. Many studies have been published in recent years highlighting the dangers of mercury, both to individuals and the environment. As more and more people have become aware of the toxicity, its use in commercial and household products such as thermometers has stopped, however it’s still used in amalgam fillings. When an individual bites or chews, the amalgam filling heats up, allowing a release of mercury vapors. These vapors can then be absorbed by the individual and impact the bloodstream, lungs, and other body tissue. There are several health conditions that have been linked to Mercury exposure including neurological disorders such as depression, cardiovascular disease, weakened immune system, and other diseases such as Arthritis or Bursitis. It’s because of this vapor release that we must be extremely careful when removing amalgam fillings. 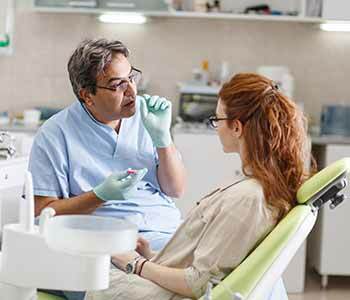 How are amalgam fillings safely removed? If an individual is concerned about the safety of amalgam fillings to their health, they can trust the team at Virtue Dental care to safely remove the filling and replace it with an alternative such as composite resin. Our team closely follows the steps recommended by the IAOMT for maintaining the safety of the patient, staff, and environment during the procedure. Isolation – It’s important to isolate the work area where the amalgam filling is located. A rubber dam is used to isolate the tooth or teeth with the fillings. Suction – It’s important to capture the mercury vapor and particles as the filings is removed. A high volume suction system is used during the removal of amalgam. Chunking – We always make sure to remove the filling in big chunks because it requires less drilling and a smaller release of vapors. We only drill enough to cut the filling into chunks. The chunks are then removed with an instrument or via suction. Cooling – Even with the chunking method, the dental drill can generate a significant amount of heat which can increase the release of mercury particles and vapor. We use both water and air to cool the filling while we’re drilling. Oxygen – We use alternative air sources to prevent the inhalation of mercury vapors. Disposal – We take every precaution when it comes to disposing of the removed amalgam filling to prevent Mercury exposure to the environment. Once the amalgam filling has been removed, we can replace it with a biocompatible composite resin filling. These tooth colored fillings are safe, long-lasting, and blend in seamlessly with the tooth. And unlike metal fillings, composite resin does not expand and contract due to temperature changes, so it eliminates the risk of tooth breakage. At Virtue Dental Care, we truly care about the overall health and wellbeing of our patients. We never use amalgam fillings and make sure that any treatment we provide is done with safe materials. If you have amalgam fillings and would like to learn more about the removal procedure, we invite you to call our office today at 336-606-0040 to request an appointment. Removing amalgam fillings can have an extremely positive impact on overall health. 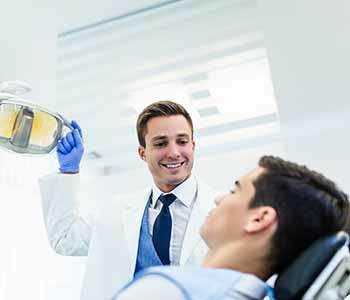 In addition to safe mercury removal, we offer a comprehensive range of cosmetic, restorative, and biological dentistry solutions.